With keeping their drivers first, Cadence Premier Logistics has created a program that focuses on driver’s safety. By implementing and utilizing the latest technologies, the driver’s tractor is an office they can be proud of. 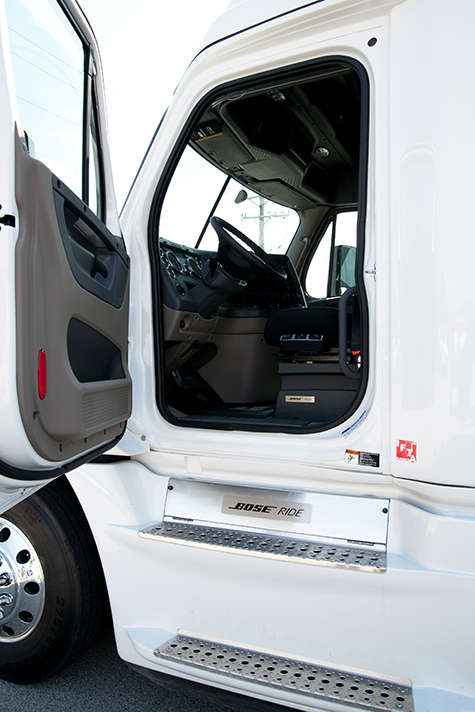 Cadence Premier Logistics has invested in its drivers by equipping its tractors with the Bose Ride system. This game-changing seat suspension technology is proven to dramatically reduce driver fatigue and pain. Bose Ride system represents a technological breakthrough in seat suspension that improves ride quality by intelligently responding to changing conditions in road surfaces. The system utilizes patented Bose® technologies to continuously sense, analyze and counteract unwanted road-induced vibration, before the driver even feels it.